If you run a scrap operation, you already know that coolant is recovered by briquetting scrap through coolant filtration management. But did you know that recovered coolant captured from the briquetter can be recycled or reused when processed with a coolant filtration system? Through the compression of chips, small particles are released and are suspended in the coolant. 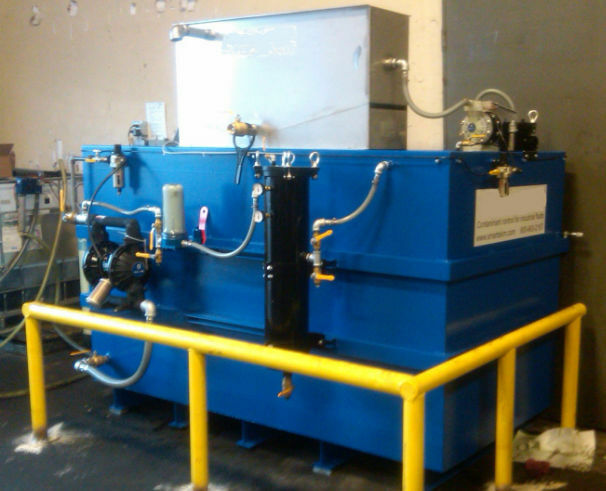 The systems provided by coolant filtration suppliers should first screen out those particles. This is accomplished through the use of a pressure bag filter, as well as a filtration system. Separated coolant is pumped through the bag filter that contains the suspended solids. With our coolant filtering management, the bag filters are cost efficient and can be replaced as necessary. The second stage of the filtration process removes oil from the machine tools themselves. This oil can be removed by sending the pre-filtered oil through coalescing filters inside the reservoir, which cause the oil to separate from the coolant. This filtering method allows the oil to float to the top of a small reservoir where it can be drained off periodically. The engine that drives the coolant filtration system from suppliers is an air diaphragm pump. This pump reliably pulls coolant through the pre-filter, then through the coalescing filters and into the settling tank. The cleaned coolant is then sent back to the tank and collected in containers. The coolant system typically requires two holding tanks, which are alternated in order to provide clean coolant that is suitable for re-use. Your ARS, Inc. sales professional can help you find the best coolant filtration systems for your application.